Well there is some snow in the forecast for the weekend but MLB Spring Training has started and baseball practice for the kids will be starting very soon. The best time to review your needed equipment; like cleats, baseball bats, and gloves; is the start of the season. 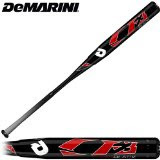 See the above photo and following link for a very cool, youth baseball bat.